Mr C’s uniform has these raised single hole buttons, typically found in barong-type office uniforms. Thing is these buttons keep popping off, which means I need to keep sewing them back on. I’m not complaining, don’t get me wrong. I’m just trying to figure out why this keeps happening. At first I thought it might have been because the original stitching wasn’t strong enough. Then recently, I noticed that I’m re-sewing buttons I had already sewn back on. 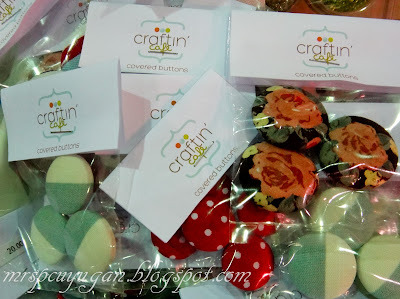 In fact, some of the original buttons already got lost somewhere between Makati and Alabang, and fortunately we found almost identical replacements at our friendly neighborhood sewing needs shop. Now the thing is, I’d at least like to think that my sewing skills are slightly above average, and I use good quality thread. So why are these buttons still popping off? Maybe it’s because we machine wash the uniforms, and since the buttons are raised, the stitching gets a massive beating from the spinning? It could be the way Mr C removes his uniform, tugging on the buttons. Or maybe the buttons get caught on the edge of his desk or on his ID lanyard, and he yanks on his shirt to pull it loose? I honestly don’t think I have the answer. Maybe someone out there good shed some light on how I can make the stitching stronger so I don’t have to sew buttons back on as often? Please help. I’m starting to see buttons in my sleep.